The Camping Gadget of the Week is the Gig Pack - for the hiker and camper who can get a little tired of trekking through the great outdoors. 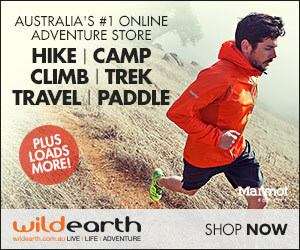 You are out on a walk – ideally not a bumpy one - and begin to feel a little weary, and want to get back to camp quickly. Never fear, you have the Gig Pack, created by Gustavo Brenck. You turn your backpack into a scooter, and ride off down the path (very quickly if it is downhill), and before you know it, you are resting by the campfire, whilst your companions slowly make their way back to the camp the conventional way - on foot. 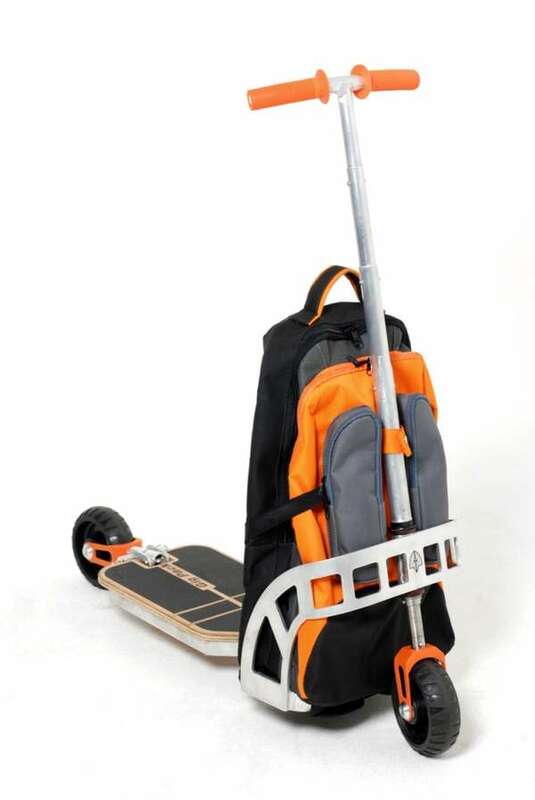 Yes, this Camping Gadget of the Week is a knapsack with a scooter built in! 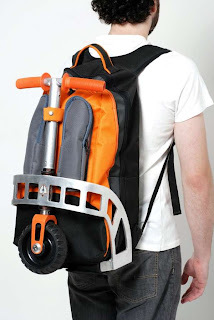 The scooter is made out of aluminum while the backpack is fashioned out of nylon. The scooter is incorporated into the design of the backpack and with a few minor adjustments, you are ready to go whizzing around the place. Day hikes with the kids (and adults) will never be the same. Whilst I believe its designed more for the scooter-lover around town, well, why stop there? 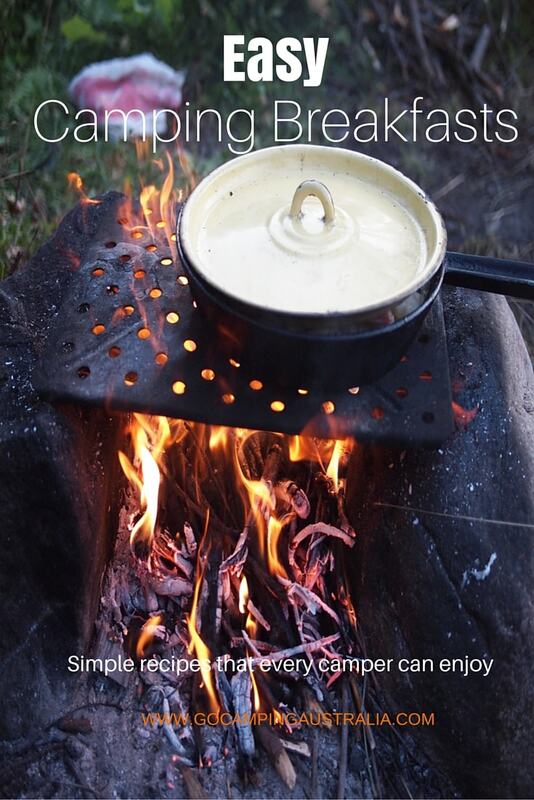 Camping folk might want to look like complete twits too! 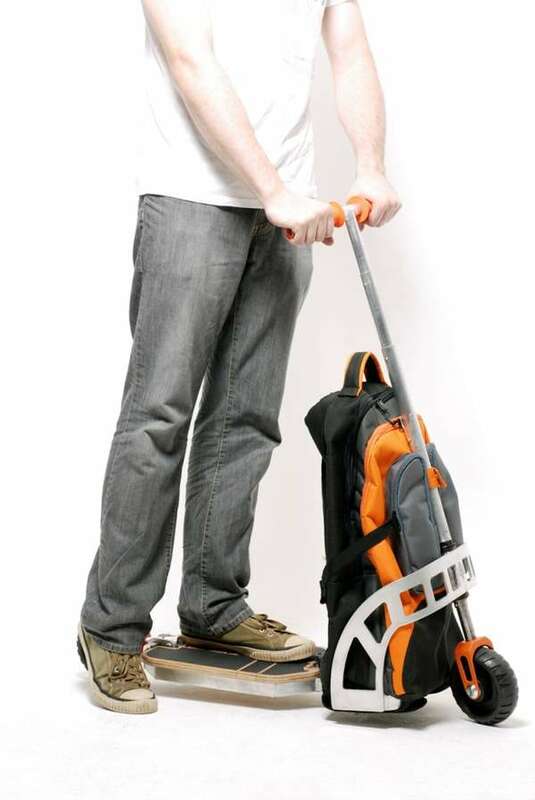 What do you think of this gadget of the week? 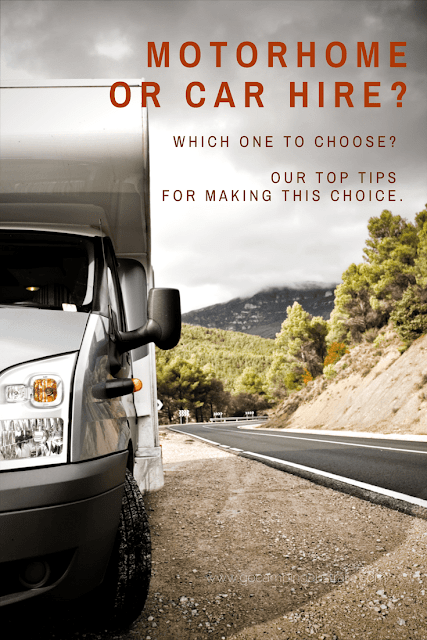 Leave us your thoughts below!